Yom HaShoah, the annual Jewish holiday commemorating the six million Jewish victims of the Holocaust, begins this year on the evening of May 1. In honor of the holiday, I am reviewing the newest in a large number of picture books that have been published about what some Jews refer to as the Shoah, which means catastrophe or utter destruction in Hebrew. 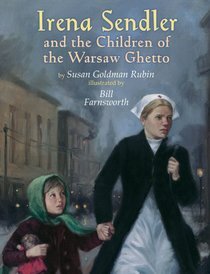 Susan Goldman Rubin has written a number of different picture books telling of different aspects of the Holocaust. Her newest tells the story of Polish rescuer Irena Sendler, a courageous young Polish social worker who conspired to rescue nearly 400 children from the Warsaw ghetto during the darkest days of World War II. When the Germans took over Poland in 1939, Irena immediately joined the Polish resistance movement, and began efforts to help the Jews in particular, who were soon forced into a ghetto and required to construct an 11 1/2 foot wall around it. Anyone helping a Jew escape could be shot; however, Irena and her friends, disguised as nurses, were allowed into the ghetto to help with sanitation. 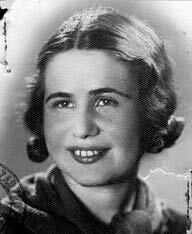 In 1942, Irena joined Zegota, a Polish underground organization founded to help Jews. She was given command of the Department of Help for Jewish Children. Irena became expert in spiriting children out of the ghetto, sometimes through the sewers, sometimes hidden under floorboards in an ambulance or hidden in fire trucks, right under the noses of the Nazis. 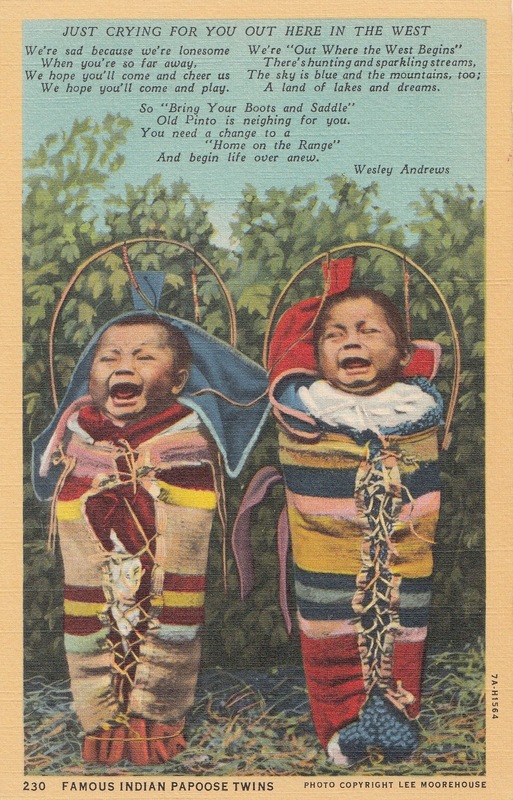 Even babies, drugged to prevent them from crying, were smuggled out, sometimes in wooden boxes. Although Irena couldn't guarantee the children's safety, many parents opted to take a chance that at least someone from their family would survive by entrusting their children to her care. Once out of the ghetto, Irena had to find places to hide the children, often in Catholic convents and orphanages; sometimes Polish foster families could be found for the very youngest children, and all received Polish names and false birth and baptismal certificates. Despite the dangers, Irena kept records, hoping to be able to reunite families after the war, and was even able to save them when she was finally arrested by the Gestapo in 1943. Right before she was due to be executed, she was let go, due to a large bribe paid by a fellow Pole. When Warsaw was finally liberated, Irena had managed to survive, along with her records, which were given to the Jewish Committee. Although many of the children had no relatives left to rejoin, some were able to find their families again due to her record-keeping. An afterword explains that under the communist government which followed the end of World War II, Irena's story went untold for many years. When the communist regime collapsed in 1989, Irena's story became public and she received many awards and recognition. Like many rescuers, Irena maintained that what she had done was neither heroic nor extraordinary. "A hero is someone doing extraordinary things. What I did was not extraordinary. It was a normal thing to do...the real heroes were the Jewish children and their mothers, who gave away those most dear to their hearts to unknown persons." This inspirational book also includes a list of resources, including books, articles, videos, testimonies, and more, as well as notes and an index. The book is handsomely illustrated with moving oil paintings by artist Bill Farnsworth in which our heroine, Irena, is often bathed in an angelic golden light. An educator's guide is available at the publisher's website. A documentary about Sendler's life entitled Irena Sendler: In the Name of their Mothers, will be broadcast nationally on PBS affiliates on May 1, 2011, its US premiere. The documentary features some of Sendler's last interviews before she died in 2008 at the age of 98. Check your local station for the air times. 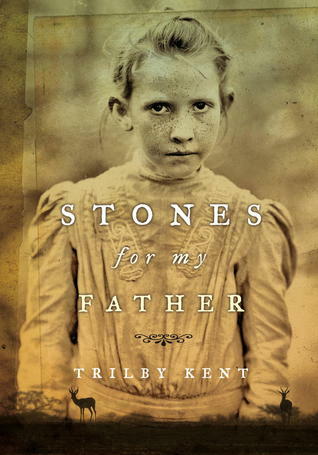 I am delighted to participate in Tundra Books' blog tour for a moving new novel for young people set during South Africa's Boer War, Stones for My Father. Written by novelist Trilby Kent, who was born in Canada but currently lives in London, this book is her second published novel for young people. One of the reasons I enjoy historical fiction so much is that it can take you to a place and time you've never experienced. In this case the backdrop for the story is the Boer War, which was disastrous for the British, who are driving the Boers from their farms. We experience this chaotic time through the eyes of Corlie Roux, a skinny young girl living with her stern mother and younger siblings in the Transvaal. Most of the Afrikaner men and young boys are off fighting the British, but Corlie's father is already in the graveyard, having died of consumption. Corlie's only friend seems to be Sipho, an African boy who is her matie, or playmate, and who teaches her the ways of the bush, telling stories together and fishing and tracking animals with her. But when she and Sipho see the English "khakis" nearby, Corlie and her family flee to the laager, groups of Boers hiding out in the bush. On their journey, Corlie watches helplessly by as she sees their family farm burned by the British. While foraging for food, Corlie and her brother meet a kind Canadian soldier--a Khaki, but one who provides them with some precious meat. 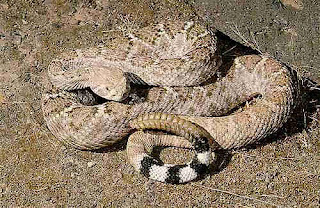 They finally meet up with the laager after a trek of many days across the veld, but their safe haven is short lived. Soon discovered by British soldiers, Corlie and all the others are forced to surrender, then sent to a "voluntary refugee camp," which more resembles an internment camp, where the conditions are harsh indeed, with scarce food, water, or other resources for the thousands of women and children imprisoned there. Corlie and her family are "undesirables"--those whose menfolk were still fighting the British, and were given the lowest rations. Soon the children are "numb with boredom," and worse yet, are falling ill to typhoid and other diseases brought on by malnutrition and unsanitary conditions at the camp. Corlie's soon fighting for her life, and her self-worth, discovering a secret about her father that we could only guess at as we read her story, and a secret that reunites her with the kind Canadian whose destiny becomes intertwined with Corlie's. Kent does a wonderful job evoking the African bush, with "days...so hot that even raindrops would sizzle as they hit the dry earth." She also captures very effectively the inhumanity of war, with the hardships it creates on ordinary civilians, particularly innocent women and children, in her depiction of the "refugee camp." The book includes a very brief epilogue with some historical information; for U.S. readers, most of whom have no familiarity with this period in history, some additional background might have been helpful. I would have enjoyed seeing something more detailed to set this story in better historical context. GIVEAWAY: Tundra Books has kindly provided me with a review copy which I am giving away to one of my readers. In order to enter, please leave a comment below with your e-mail address so I can contact you if you are the winner! A winner will be selected by random number generator on May 8. Beloved author-illustrator Patricia Polacco returns to the Civil War in her newest picture book aimed at older readers. This story, suitable for upper-elementary school-aged children, follows two brothers, Michael and Derek, who visit the Harpers Ferry Civil War Museum with their grandmother. Initially annoyed when their grandmother tells them that on this trip there will be "no music, no texting, no tweeting, no e-mailing," they decide that the Civil War was "way cool" when they see the guns and cannons in the museum. Soon they have a chance to slip into some Union uniforms, and they're told by the eccentric museum director that when they step through a door, they'll find themselves in Antietam just after the battle. It's a game, he tells them, and they're not allowed to tell anyone they're from 2011. Also, they have to make sure to come back before sunset. But when they pass through the door, they're ordered to help photographer Matthew Brady and his assistant, Gardner, who are there to photograph the battlefield and the President's meeting with General McClellan. The boys can't help but wonder where on earth the game found an actor that looks so much like President Lincoln. When the boys look with shock at all the dead bodies, they realize this is no game, and soon they are comforting President Lincoln himself, who is agonizing over all the death and destruction he sees. Derek can't help himself--he tells Lincoln that the North will win, and that one day, a black man will be president! Derek and Michael must rush to get back to the present, where their grandmother insists that they have participated in a reenactment, where groups act out important battles of the war. But when the boys examine the photo of Lincoln and McClellan in the museum--they find a surprise that might validate their trip back in time. 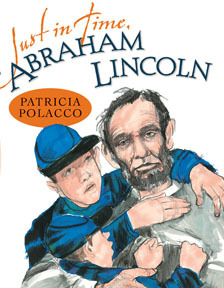 Patricia Polacco knows how to tell an engrossing story, and kids will certainly enjoy this time-travel story about two ordinary boys who wind up meeting President Lincoln and seeing one of the most devastating battles of the Civil War (Antietam was the single bloodiest day in the war, with almost 23,000 casualties). Her signature style artwork, done in pencils and markers, of the battle scenes is particularly powerful (you can see many of the 2-page spreads from the book on Polacco's website), although the cover image of Lincoln brought to my mind how during his lifetime Lincoln was often called in his own day an ape, baboon or gorilla. Somehow in Polacco's cover artwork Lincoln has more than a little bit of a chimp look about him, don't you think? The book includes a brief bibliography and an author's note, in which Polacco gives additional details about the history of Antietam that are not covered in the story. Most importantly, she describes how she plays a bit fast and loose with historical accuracy in this time-travel tale; for example, by the time Lincoln visited the battlefield, two weeks after the event, all the bodies would have long been gathered up by both sides for burial. I will allow her some dramatic license to mold her story, although in general I don't like when authors of historical fiction change the timetable of actual events, since we can't be sure if the audience will actually read the author's note at the end of the book. What do you think about historical fiction where the author plays with the timetable of events? Please leave a comment below. Eleanor Updale, the award-winning author of the popular Montmerancy series, takes us to England in 1929 in her newest historical mystery novel for young people. Our hero, Johnny Swanson, is an engaging young boy who finds himself mixed up in a murder mystery--and his own mother is the suspected murderer! Johnny's sure as can be that she's not guilty, but no one will believe him and the police seem to have already made up their mind. Can Johnny save her before it's too late? There seem to be three interrelated stories going on in this novel--the above-mentioned murder mystery, the tuberculosis epidemic in England, and Johnny's many schemes to make money to help out his mother. Johnny is enticed by a newspaper advertisement promising the "secret of instant height," just what he needs to stop the bullying at school because of his small stature. When he discovers the ad is a hoax, he decides he can play that game also, and soon is concocting schemes to put advertisements in various publications and collecting small sums of money for bogus answers to problems. As you might imagine, Johnny becomes hopelessly entangled in a comical web of lies around his business, this part of the story very much reminded me of the classic Great Brain series by John D. Fitzgerald that I enjoyed as a child. At the same time, a TB outbreak is plaguing England, and Johnny's neighbor, Dr. Langford, just might be working on a secret vaccine for the disease. This work turns out to be dangerous, indeed--for Dr. Langford and maybe for Johnny too, as he learns more than he should know about the undercover work. 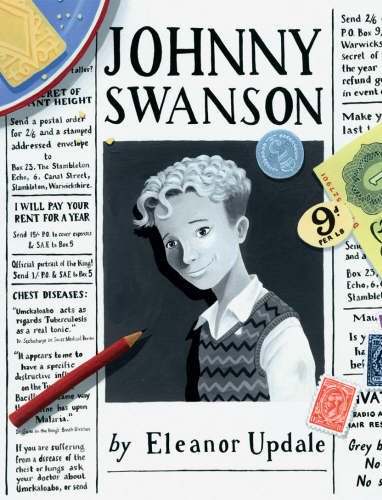 Johnny makes an appealing boy detective--a character who's far from perfect, but whose good intentions shine through as he works to help his mother, first through his financial schemes, and then to save her from the hangman's noose. The author combines humor and suspense--a winning combination for young mystery fans. Perhaps we will see more adventures of Johnny Swanson in the future! Disclosure: ARC received from publisher. In a companion to his acclaimed novel, The Wednesday Wars, award-winning writer Gary D. Schmidt revisits the Vietnam era in Okay for Now. Doug Swietech, a secondary character in the Wednesday Wars, becomes the focus of this story; it's close to the end of the summer, and Doug and his very dysfunctional family have just moved to a "dump" of a town in upstate New York when the book opens. Doug idolizes Joe Pepitone of the Yankees, and his most treasured possession is a jacket signed given by his idol. His home life is dominated by his abusive father and his bullying older brother, while another brother is off fighting in Vietnam. As much as Doug hates "stupid Marysville", he is quickly befriended not only by Mr. Powell, but also by Lil, a girl whose family owns the town's deli, and gets Doug a job delivering groceries on Saturdays for some of the more eccentric citizens of Marysville. Things aren't going too bad for Doug, until his older brother is suspected of some local robberies, his father's physical abuse is revealed to all his classmates, his brother comes back from Vietnam maimed physically and emotionally, and to top it off, pages of the precious Audubon manuscript are being sold off to pay the town's bills. Can Doug stop the cycle of abuse in his family and perhaps even put the town's Audubon book back together? Schmidt is a masterful writer, managing to incorporate pathos, humor, loss, the power of art, friendship and more into this memorable novel. Doug's voice and his journey is one that the reader will not soon forget. The novel is pulled together by the Audubon prints, which serve as titles for each chapter and are pictured in the novel as well, and often seem to mirror what is happening in Doug's own life. As Doug comes up with ways to reconstruct the precious book, he is also making sense of his own life and future. 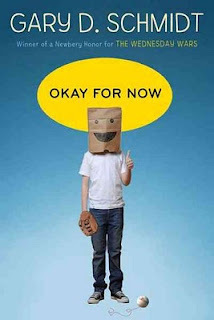 Okay for Now is already getting some pre-Newbery buzz, and perhaps Schmidt will be adding a Newbery to his two Newbery honor awards (for The Wednesday Wars and Lizzie Bright and the Buckminster Boy. Schmidt, who is a professor of English at Calvin College with six children of his own, is working on the third volume of The Wednesday Wars trilogy. That's a book that will definitely be on my "to read" pile. Note: A live webcast of Gary Schmidt from the New York Public Library will take place on May 9, 2011. See Fuse #8's announcement of the event for further details. I don't usually think of biographies, even picture book biographies, as good choices for the youngest children, but author/illustrator Patrick McDonnell, who has numerous picture books and the nationally syndicated Mutts comic strip to his credit, has changed my mind. His just-published picture book about Jane Goodall, the internationally renowned chimpanzee researcher and crusader for wildlife conservation, would make a great read-aloud for preschoolers as well as early elementary school students, and in fact, its simple, inspirational story and charming illustrations can be enjoyed by all ages. McDonnell's whimsical, childlike watercolor and ink illustrations are the star of this little book, which has very minimal text. We meet the child Jane with her prized stuffed chimpanzee, Jubilee, who accompanies her on all her adventures. Jane loved to be outside from an early age, taking great joy in observing nature and even writing about it in her notebooks (a page from which, complete with misspellings, is reproduced in this volume). "It was a magical world full of joy and wonder, and Jane felt very much a part of it." 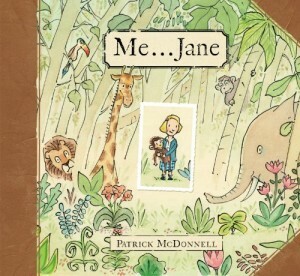 Jane sits high up in her favorite tree, reading the adventures of Tarzan and another girl named Jane in far-off Africa, and dreams of a life in Africa helping animals. At the end of this book, we see a grown-up Jane, waking up in a tent, befriending a real chimpanzee who looks much like Jubilee. I loved everything about this book, including the nostalgic design, with the eggshell colored paper, old-fashioned type face, subtly colored illustrations which somehow give the book an old-fashioned tinge, and the use of ornamental engravings from the 19th and early 20th century, which appear to have been subtly stamped on the pages. McDonnell's simple illustrations somehow mesh brilliantly with the more elaborate Victorian engravings, and the whole book comes together flawlessly. A brief endnote gives further biographical information on Jane Goodall, along with a photograph of a baby Jane with her beloved toy chimp, and a message from Jane Goodall with information about her environmental advocacy program for young people, Roots and Shoots. There are a number of other picture book biographies about Jane Goodall, including another new one published this month, which I have not yet seen: The Watcher: Jane Goodall's Life with the Chimps, by Jeanette Winter (Schwartz & Wade, 2011). Mike Venezia, author and illustrator of the very popular Getting to Know the World's Greatest Inventors and Scientists series, recently published as part of that series the volume Jane Goodall: Researcher Who Champions Chimps (Children's Press, 2010). Jane Goodall herself has written a number of books for young readers; especially appropriate for the youngest wildlife lovers is The Chimpanzee Family Book, lovingly photographed by Michael Neugebauer (North South Books, 1997), which follows five-month old Galahad and his chimpanzee family. Recommended for ages 14 to adult. 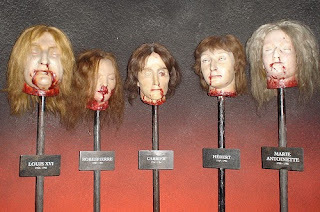 Everyone's heard of the famous Madame Tussaud's wax museums, which started in London but now have locations around the world, but how many of us know the thrilling story of the real Madame Tussaud? 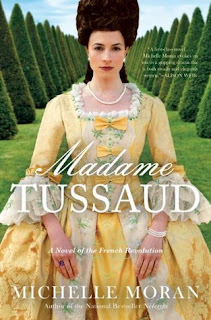 This novel, which was published for adults but would make an excellent choice for teen readers as well, concentrates on the life of young Marie Grosholtz in Paris and Versailles during the turbulent years of the French Revolution. Marie lives with her mother and uncle, studying under her uncle's tutelage how to make figures for their famous Salon de Cire, or wax museum, which includes tableaux with statues of everyone from the King and Queen having a meal to the Cavern of Great Thieves, made to look like a dungeon. Her uncle hosts one of the city's most popular salons, whose regulars include the Duc d'Orleans, the king's radical cousin, Jean-Paul Marat, Robespierre, and others who are soon to become famous--or infamous--as revolutionaries. Her brothers guard the king as part of the Swiss Guard at Versailles. When the novel opens, a letter has just come from the King and Queen, saying they want to visit the Salon! Although Marie knows that the Queen has recently been plagued by scandals, she is convinced that their visit will bring good fortune. What she can't imagine at that moment is that she will be invited to move to Versailles to instruct the king's sister, Madame Elisabeth, in the art of wax modeling, and that her life will become intimately linked with that of the royal family. Never could she have guessed that within a few brief years, she would be required by the revolutionaries to make wax reproductions of the bloody heads of their victims, some of whom she knows personally, to be paraded through the streets of Paris. If she doesn't do their bidding, her head is likely to be the next to fall under the guillotine's sharp knife...will she be able to survive the Revolution with her own head intact? This novel is historical fiction at its best--a fascinating tale filled with real historical characters, told by a skilled storyteller. Moran weaves a tantalizing tale that takes us from the richness and splendor of Versailles (complete with the stench of the hallways) to the heights of the Terror. Although I have read many novels set during this period, as well as nonfiction about the French Revolution, I couldn't help but gasp at some of the horrors Marie was forced to endure. There's some romance, too, of course, for Marie, but it's secondary to the political tale. 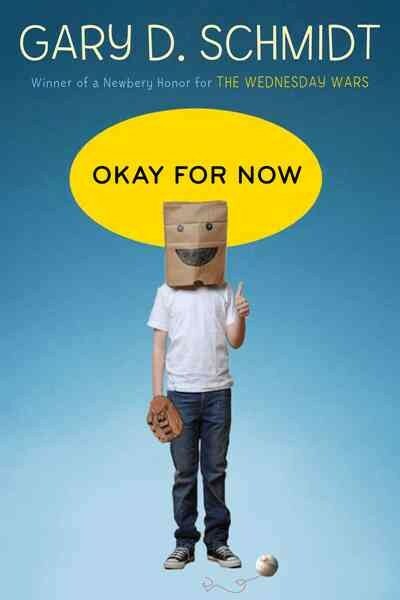 Highly recommended for teens and adults! Library Journal published an interview with the author, Michelle Moran, whose previous novels all were set in ancient Egypt. A film on Madame Tussaud's life has recently been announced, to be produced by Stephane Sperry and Liaison films. I'm looking forward to that one! Today marks the 150th anniversary of the start of the Civil War--specifically the firing on Fort Sumter by Confederate forces. Most people expected the war to end quickly, but they couldn't have been more wrong. The war dragged on for four long and bloody years, and at its conclusion, more than 620,000 had died, more than the casualties in all other American wars combined. Commemorations of the conflict are taking place all over the country (see the National Parks Service site for further details as well as the website of the Civil War Trust). More than a thousand books, both fiction and non-fiction, have been written specifically for young people about the Civil War (and more than 70,000 books on the topic have been published overall since the war's end!). In this post I will highlight ten excellent historical fiction novels about the conflict published in the last decade, listed in no particular order. Next month I will highlight outstanding non-fiction titles for young people about the war as well as picture books about the Civil War. Watch for those posts! 1. Two Girls of Gettysburg, by Lisa Klein (Bloomsbury, 2008): When the Civil War breaks out, two cousins find themselves on opposite sides of the conflict, until they are reunited in the town of Gettysburg. 2. 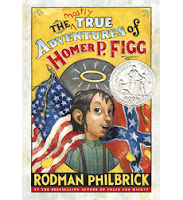 The Mostly True Adventures of Homer P. Figg, by Rodman Philbrick (Blue Sky Press, 2009). Young Homer Figg follows his underage brother into the thick of the Civil War, hoping to find him and save him, but winding up instead in the thick of the Maine regiment which saved Little Round Top at the Battle of Gettysburg. Funny and tragic at the same time. 3. The River Between Us, by Richard Peck (Dial, 2003). During the early days of the Civil War, the Pruitt family takes in two mysterious young ladies who have fled New Orleans to come north to Illinois. 4. The Storm Before Atlanta, by Karen Schwabach (Random House, 2010). A thought-provoking novel about three young people whose lives become intertwined--a Union drummer boy who dreams of dying gloriously for his country, a young Confederate soldier who he befriends, and an escaped slave who finds work in the Union camp for a surgeon. 5. 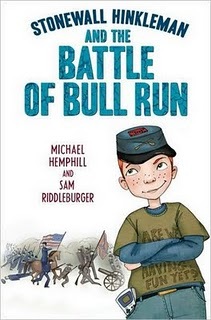 Stonewall Hinkleman and the Battle of Bull Run, by Sam Riddleburger and Michael Hemphill (Dial, 2009). A time travel novel about Stonewall Hinkleman, a boy whose parents are so Civil-War obsessed that they named him after Stonewall you-know-who, and who hates participating in Civil War re-enactments every weekend with his parents, where he can't play his Game boy but has to play the bugle instead. But when Stonewall finds himself back in the actual Battle of Bull Run, he has to use his knowledge of history to stop a bad guy who has also travelled back in time from changing the whole course of American history. Very funny but with some serious historical content. 6. Come Juneteenth, by Ann Rinaldi (Harcourt, 2007). Ann Rinaldi has written many excellent novels about young girls during the Civil War; this one tells the story of a young slave in Texas--where slave owners managed to keep the news of the Emancipation Declaration from their slaves for nearly two years. 7. Hearts of Stone, by Kathleen Ernst (Dutton, 2006). Orphaned when her father dies fighting for the Union and her mothers dies from exhaustion, 15-year old Hannah must find a way for her family to survive during the Civil War in Tennessee. 8. My Last Skirt: The Story of Jenny Hodgers, Union Soldier (Clarion, 2006). Enjoying the freedom she has while dressing like a boy in order to earn higher pay after leaving Ireland, Jennie serves in the 95th Illinois as Private Albert Cashier, a Union soldier. Based on a true story. 9. Picture the Dead, by Adele Griffin and Lisa Brown (Sourcebooks Fire, 2010). A genre-busting blend of historical fiction, graphic novel, ghost story and mystery, about an orphan girl whose fiance is killed in the war. When she joins up with a spirit photographer, she begins to uncover mysterious secrets about the man she thought she loved. 10. Gabriel's Horses (first in a trilogy) by Alison Hart (Peachtree Press, 2008). In Kentucky, the 12-year old slave Gabriel contends with a cruel new horse trainer and skirmishes with Confederate soldiers as he pursues his dream of becoming a jockey. Witchcraft, whether with a historic or contemporary setting, is a popular subject for young adult novels these days. 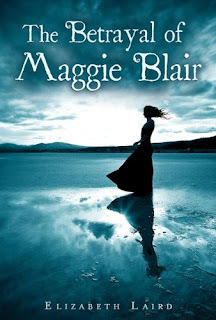 British author Elizabeth Laird mines 17th century Scottish history for her engrossing historical fiction novel for teens, The Betrayal of Maggie Blair, published in England last year as The Witching Hour. Sixteen-year-old Maggie lives with her grandmother in a small Scottish village on the Isle of Bute, both her mother and father having died when she was a small child. Her grandmother, a scowling, bitter old woman who acts as the village's midwife, believes that she must make the townspeople fear her to survive. In any era in which everyone believed in the devil without question, it didn't take much to be suspected of being a witch. When a baby in the village dies mysteriously, the townspeople turn on both her grandmother and herself, charging them with witchcraft, and Maggie must take her chances and flee from the only home and family she has ever known. She makes her way to a kind uncle and his family, where a different kind of trouble lurks--trouble of a political and religious nature. Her uncle is a Covenanter--fiercely independent Presbyterians who refused to acknowledge the English king as head of the Presbyterian church in Scotland. It's a dangerous position, and the king's soldiers are arresting Covenanters and throwing them in prison. Nonetheless, Maggie thinks she's safe; until Annie, a girl from her village shows up and worms her way into her relatives' affections, with only Maggie realizing that Annie's up to no good. I thoroughly enjoyed this novel, which has a more serious thread to it than many of the YA historicals--despite the witchcraft element, there is little of the paranormal or romance in this book. The religious controversies of the era may not appeal to young readers looking for a light read, but this may appeal to fans of Christian fiction, since the struggle for religious freedom and the lengths people will go to worship as they please are a major theme of this book. Does a person's true duty lie in serving God or protecting his family? The author does an excellent job evoking the Scotland of the 17th century, although perhaps using a more contemporary vocabulary (always a balancing act in historical fiction) with a lot of "lassies" thrown in for local color. Maggie is a courageous heroine who young girls will be able to root for while following her many adventures and decisions until she chooses her path. This book was loosely based on the stories of some of the author's own ancestors, a few of whom appear as characters in this novel. The book shortlisted for the Scottish Book Trust's Royal Mail Award for Scottish Children's Books, in the older readers category. Note: I am delighted to welcome debut novelist Carole Estby Dagg to The Fourth Musketeer! 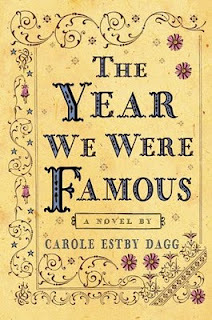 She has written a fascinating post about her research into her own family's history, which inspired her new novel The Year We Were Famous, reviewed yesterday here at The Fourth Musketeer. Carole's novel won the Society of Children's Book Writers and Illustrators' Sue Alexander award for most promising new manuscript. 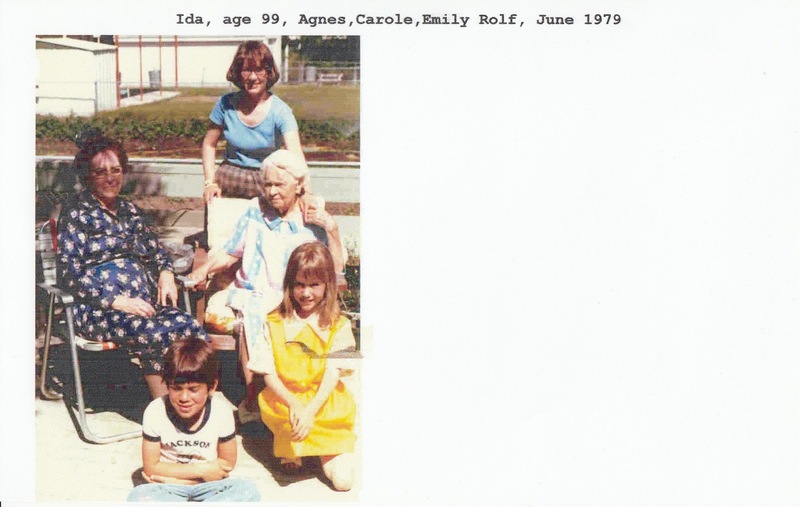 I grew up with whispers about Great-grandmother Helga and her daughter, my Great-aunt Clara. 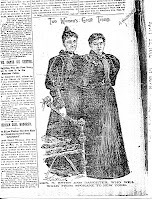 What they’d done wasn’t widely talked about because it had been considered a scandal back in 1896: they’d left the rest of the family, including Clara’s seven younger brothers and sisters, back home in Mica Creek, Washington to walk clear across the country to New York City on a $10,000 wager that would save the family’s farm. What’s more they’d covered half the country, from Salt Lake City on, wearing skirts that were a shocking six inches above the ground. Even worse yet, Helga Estby was one of those suffragists who wanted to prove that women were the equal of any man and deserved the vote. I didn’t discover details about the walk until I was grown, when two articles from Minneapolis newspapers which had been salvaged from a burn barrel started circulating among family members. When I found out that Clara and her mother had walked for 232 days, from 25-50 miles a day, surviving flash flood, blizzards, assailants, days without food or water and meeting the whole range of 1890’s society from bands of Indians to president-elect McKinley, I knew this was a story that had to be told. When I heard that the journals which Clara and Helga had intended to turn into a book had been destroyed, I vowed that someday I would tell their story for them. 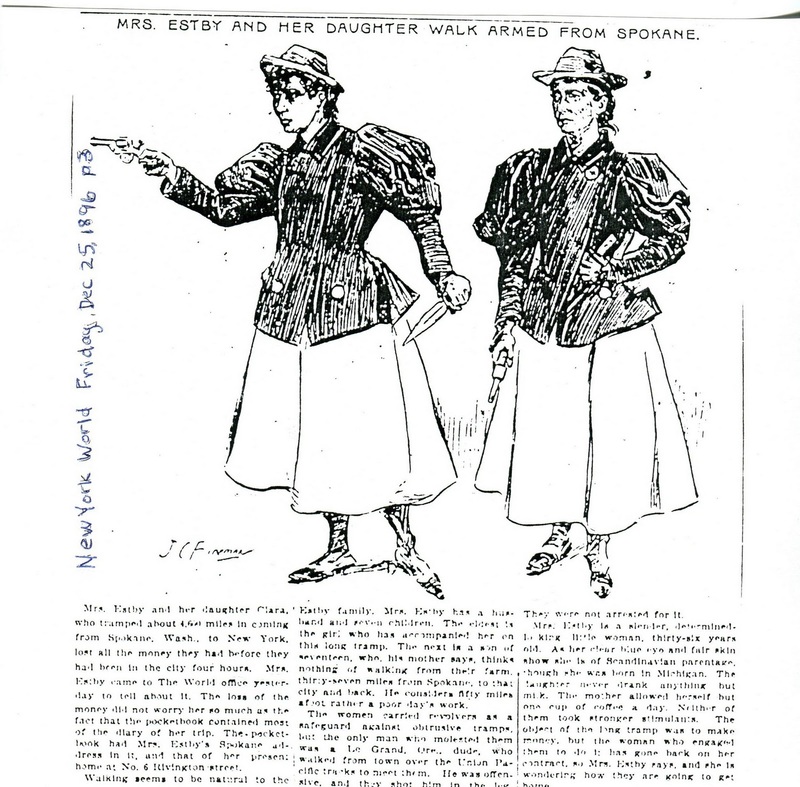 By writing to librarians across the country and scrolling through microfilmed newspaper collections at the University of Washington, I collected a dozen newspaper articles about the walk. The articles weren’t as helpful as I’d hoped, though. They often contradicted each other in details, and descriptions of their adventures were tantalizingly brief. Being lost for three days in the Snake River Lava fields for three days, showing a band of Ute Indians how to use a curling iron, or shooting an assailant just rated one sentence in a news account. If I wanted to tell readers what it would have been like to walk those 232 days, I’d have to expand those one-liners into fully developed scenes, and the non-fiction book I had intended to write would have to become historical fiction. I expanded research from the walk itself to circumstances related to the walk: William McKinley and William Jennings Bryan, who were running for president that year; rattlesnakes and early days of railroading; eating habits of cougars; and frontier treatments for blisters. Now that I was writing fiction, I needed to write in the voice of a late Victorian young woman. To do that, I gave up reading all contemporary books for a year and read only books Clara might have read--from classics for school to the dime novels that were passed from hand to hand among young people of the day. Incidentally, the vampire craze is not new. Bram Stoker’s Dracula wouldn’t be out for another year, in 1897, but Thomas Preskett Prest’s Varney, the Vampire,or Feast of Blood, had been out since before the Civil War. Besides reading books, I pored over old maps to reconstruct a plausible day-by-day route for them. I went on eBay to bid on period postcards of places they passed through, which inspired details for several chapters. I drove part of the route with my daughter, and stopped at a little museum in Rawlins, Wyoming where I bought a pamphlet about a Victorian-era local woman doctor who became Clara’s ‘someone to talk to.' Approaching the Internet like a treasure hunt, I hopped from clue to clue to research relevant trivia like the history of Underwood typewriters, the elevation of the pass in the Blue Mountains, and the name of the Indian Agent at the Umatilla reservation. How far did research take me? 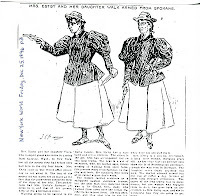 Right down to finding Folkwear patterns and sewing a Gibson Girl blouse and the Victorian version of under drawers. There’s a danger in being a research person. I can spend half a day researching the mechanics of the style of snow plow that might have been used in the Blue Mountains in 1896—and then have to cut the scene six months later to balance the high points in the narrative. Ninety-nine per-cent of my research never makes it to the book in a way that is obvious to the reader, but it helps draw me into that other world. Besides, it’s fun! Clara and her mother had their picture taken in Spokane before they left home and had it made into cartes de visite which they gave out as souvenirs to people who took them in for the night. 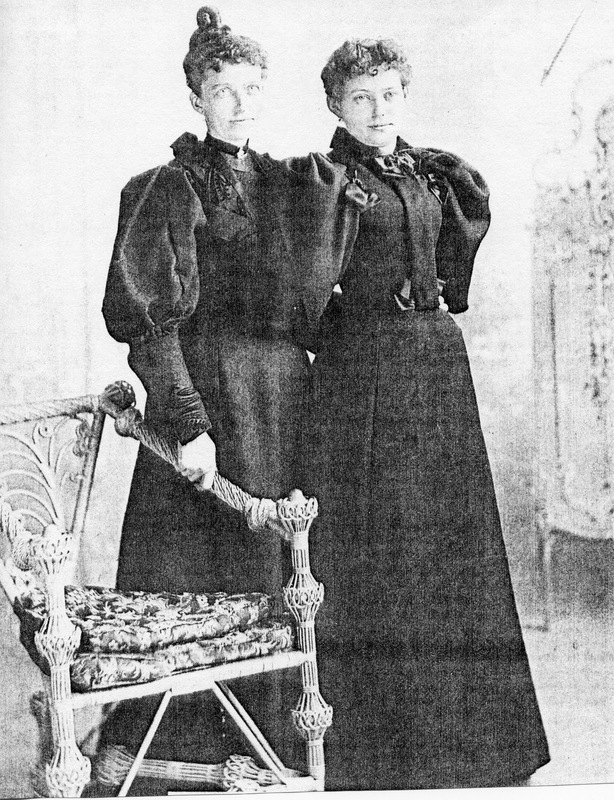 They also sold copies when they modeled New American Woman clothing and gave lectures on their walk along the way. Major Moorehouse, the Indian agent for the Umatilla reservation back in 1896, took hundreds of photographs, many of which were made into postcards. I was the successful bidder on eBay for this popular postcard and couldn’t resist writing it into the book. 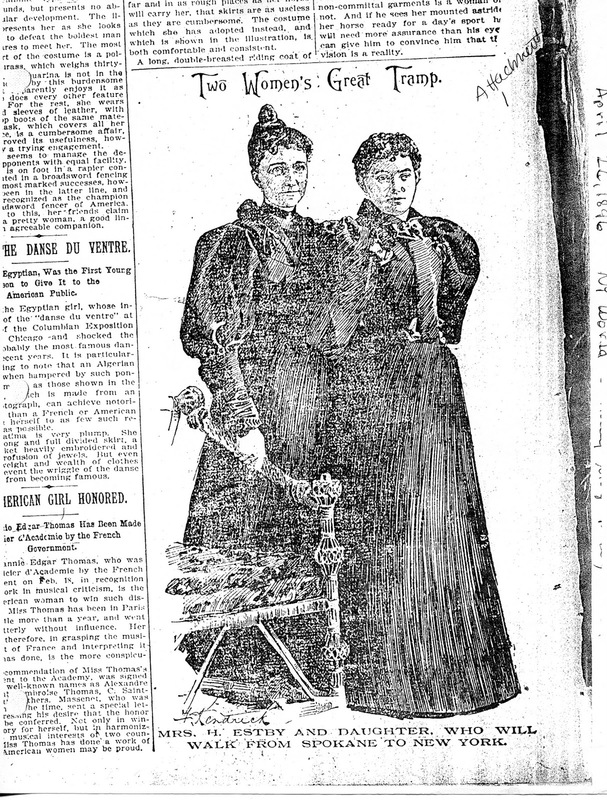 This article appeared in the New York World when Clara and Helga reached New York. They must have been appalled to have themselves depicted as armed desperados instead of women desperate to save their farm. 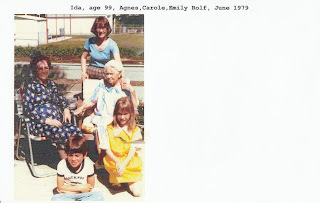 This photo from 1979 shows three generations of Estbys: I’m standing in the back; Great-aunt Ida Estby, Clara’s sister, is seated on the right; Agnes Krause Estby Funk, Clara’s sister-in-law, is seated on the left; my children Rolf and Emily are seated in the front. The missing links are Clara’s brother Arthur (my grandfather), who died in 1924, and my father, who died in 1972. Read more about Carole at the Class of 2K11's website and at her own website, Caroleestbydagg.com. She will be at BookExpo America in New York at the end of May, so if you're attending, be sure to look out for her! 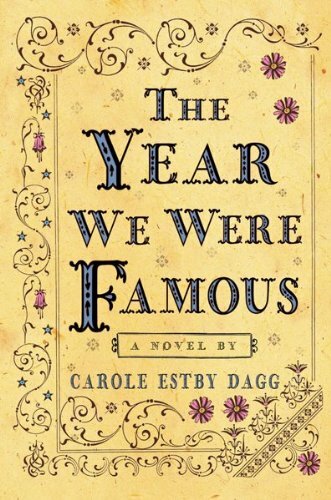 Debut novelist Carole Estby Dagg was inspired by her own family history to write the delightful new young adult historical novel, The Year We Were Famous. Based on the true story of the author's great-aunt and great-grandmother, this adventure-filled novel set at the time of the suffragist movement tells the tale of 17-year old Clara Estby and her mother, Helga, who decide to walk clear across the United States from the small Norwegian-American farming community of Mica Creek, Washington to New York City--some 4,000 miles--to save their family farm from foreclosure. Helga, a dedicated suffragist, also wanted to prove that women deserved the vote, because a woman was resourceful enough to make it across the country on her own, without a man's help. All this, in an era when most women never went more than a few miles from their home. The story, told in the first person by Clara, opens with Clara, the eldest of eight children, having returned from high school in Spokane to her family's farm in Mica Creek. While brainstorming about ways to raise money to save their farm, her mother comes up with her idea of walking across the country, and begins seeking sponsors. At her pa's suggestion, Clara agrees to go along on an adventure that she can't begin to imagine: "This would be my year abroad, my year to turn the old Clara into someone bold, someone with newfound talents, strengths, and purpose in life." 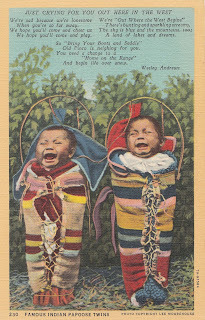 And when a New York publisher offers them $10,000 if they complete the trip by November 30, 1896, they are on their way, equipped with calling cards, a letter from the mayor of Spokane attesting to their moral character, work boots, canteens, oil-skin ponchos, tooth powder and toothbrushes, two journals and six pencils, a second-hand satchel, and a compass given to Clara by Erick, the boy who's sweet on her--but no change of clothes! Needless to say, Clara and her mother have no shortage of adventures on the way, as they follow the train tracks East, including encounters with Native Americans, outlaws, handsome journalists, and even the President-Elect and First Lady of the United States, not to mention blizzards, flash flood, lava fields, heat, thirst, and a sprained ankle. Will they make it to New York on time to collect their prize and save the farm? You'll have to read this to find out. I, for one, had a hard time putting this book down. 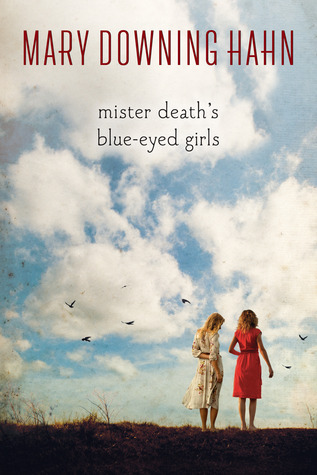 Author Dagg does an outstanding job bringing the voices of her intrepid ancestors to life; she extensively researched the lives of Victorian women in order to "get inside Great-Aunt Clara's head." Teens are likely to identify with Clara's personality clashes with her mother, as well as her dreams of a life more exciting than being a farmer's wife in rural Mica Creek and her struggle between family obligations and becoming independent. An excellent website for the book offers more information on historical context and discussion themes; this would be a particularly appropriate title for a mother-daughter book club, and although the protagonist is seventeen, the book would be perfectly appropriate for readers as young as ten. 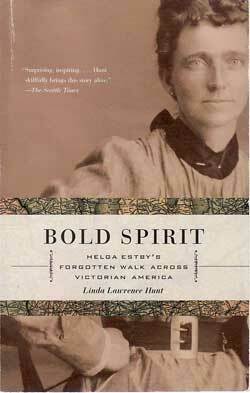 Linda Lawrence Hunt's 2005 release for adult readers, Bold Spirit: Helga Estby's Forgotten Walk Across Victorian America. In addition, a novel aimed at adult readers about Helga and Clara has also been released this spring: The Daughter's Walk, by Jane Kirkpatrick (WaterBrook Press, 2011). Check in tomorrow for a special guest post from author Carole Estby Dagg! Teens still seem to be devouring paranormal romances, and here's one without any vampires or werewolves but chock full of romantic star-crossed lovers that seems sure to be a hit with teen girls who enjoy books of this genre. 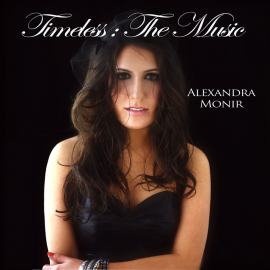 Alexandra Monir, a 25-year old debut novelist who is a professional singer-songwriter, has made use of her songwriting talents as well by weaving original music into the story, which can be purchased as an album (also called Timeless). Michele Windsor is a happy, popular teenager living with her mother in Los Angeles--except that, since she was a little girl, she has recurring dreams about a mysterious handsome stranger "with eyes the color of sapphires...dressed like none of the other boys she knew." When a tragic accident forces her to move to New York to live with her wealthy, upper-crust society grandparents whom she has never met, she is dazzled at first by their enormous historic mansion, which she has a strange feeling she has seen before. While the servants are kind, her grandparents are formal and reserved. She is trying to cope with her mother's death and her new life when she finds a mysterious antique key left by her father to her mother, a key that allows her to travel back in time--to 1910 New York. Somehow we are not too surprised to find that, while in 1910, she meets at a masquerade ball the handsome stranger of her dreams--Philip, the love of her life. But as Michele goes back and forth from the present to the past, trying to juggle both her lives, she realizes that although she and Philip belong together, they can never actually be together, since neither can fully exist in the other's time. Their love seems doomed--can she alter the past and save him before it's too late? The star-crossed lovers theme of this novel is perennially popular, and the aching romanticism of the story should appeal greatly to teen readers and keep them turning the pages. 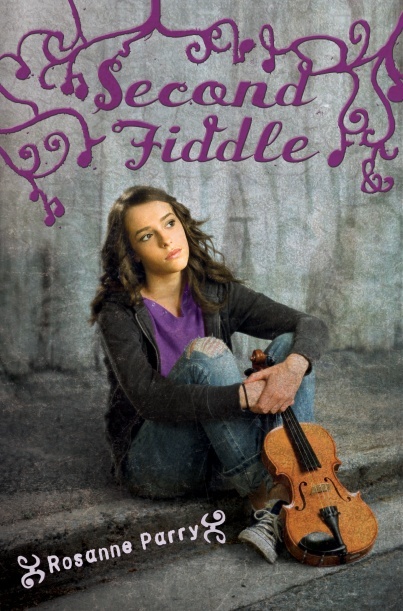 Teens will also appreciate the integral role that music as well as romance plays in this novel; our hero, Philip, is a gifted musician, but being a musician as a profession does not fit into his upper-crust family's career plans for him. Michele, our heroine, writes music as well, and the two are soon collaborating on songs across the century, as she writes lyrics to his music. And you can purchase these songs on-line so the reader doesn't just have to imagine them in her head. Alexandra Monir spent a year in New York researching and writing this novel, and does a credible job recreating the high society world of the Gilded Age. Brief portions of the novel also take place in the Roaring Twenties and during World War II. In an afterword, she cites some of the books used in her research, as well as sights of New York to visit for readers interested in these periods. She also recommends visiting Newport, where many mansions from this period survive and are open to tours. Timeless was named an Amazon Best Book of the Month for January 2011, and Monir is already at work on a sequel. 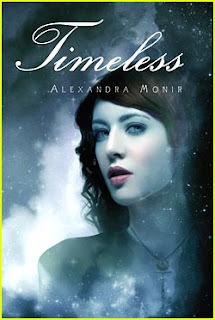 You can find an interview with Alexandra about her book at Ramblings of a Teenage Bookworm. Giveaway: To win a copy of this book for yourself or your library, please leave a comment with your e-mail and let me know what time period you'd like to travel to if you could travel back in time! Winner will be selected at random on April 13, 2011. Recommended for 10 and up. Sherlock Holmes is one of the most beloved fictional characters ever created, and the original Arthur Conan Doyle stories remain popular, as do many spin-offs in both books and film for adults and young people. A new series by British writer Andrew Lane imagines Sherlock as a fourteen-year old boy solving his first murder mysteries. The first volume in this series, Death Cloud, starts off a bit slowly but soon turns into an intriguing murder mystery. 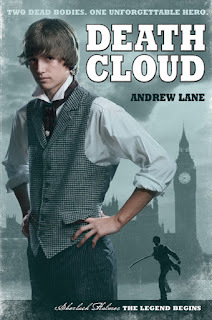 Andrew Lane writes that his intention with this series is "to find out what Sherlock was like before Arthur Conan Doyle first introduced him to the world. What sort of teenager was he? Where did he go to school, and who were his friends? Where and when did he learn the skills that he displayed later in life – the logical mind, the boxing and sword-fighting, the love of music and of playing the violin? What did he study at university? When (if ever) did he travel abroad? What scared him and who, if anyone, did he love?" Arthur Conan Doyle, notes Lane, gave away little about Sherlock's youth in his published short stories and novels, except a few hints here and there, therefore giving Lane considerable creative license to create the early years for this beloved character. Set in 1868, when our hero is fourteen, our novel opens with Sherlock at boarding school. But instead of going home for his summer vacation, he finds out from his brother Mycroft that their father has been posted to India, their mother is "unwell," and Sherlock will have to spend the summer with his peculiar aunt and uncle--who he's never even met--in Hampshire. The only bright note seems to be that the food is better than at school. I should disclose that I have not read any of the original Sherlock Holmes stories, but that may be the case as well with the intended audience for this series, teens and tweens. This new series is not the first about Holmes to be aimed at teen readers, but is the first such series endorsed by the Arthur Conan Doyle estate. (A different series for teens,the award-winning The Boy Sherlock Holmes, by Shane Peacock, was first published in 2007 by Canadian publisher Tundra Press and has four volumes to date. I have not read any of the titles in that series but it would be interesting to compare and contrast how both authors imagine Sherlock as a youth). And then of course we have the acclaimed Enola Holmes mystery series by Nancy Springer, concentrating on Sherlocks' much-younger sister, Enola, a talented detective in her own right. Lane's series offers plenty of action, as well as laying the ground work for Holmes' later powers of deductive reasoning (we can see the beginnings of his talents in this book). It's a good entree into the Victorian stories for younger readers, and may get them interested in exploring the originals. 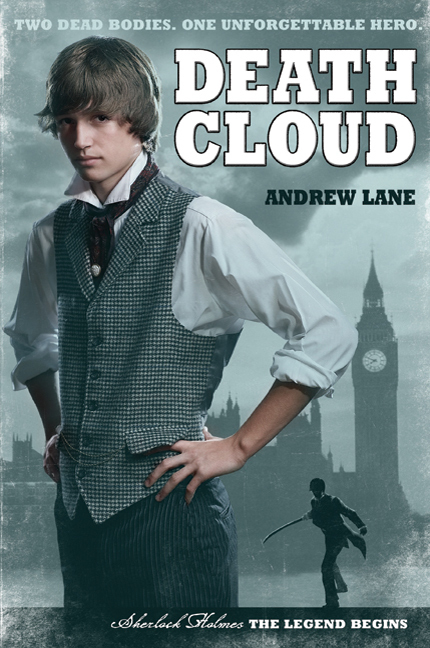 An interview with Andrew Lane about this series appears at The Book Zone for Boys. The British website for the series can be found at youngsherlock.com, and includes information on the next volume in this series, Red Leech, as well as a book trailer. Death Cloud was recently picked as a Spring 2011 Kids' Indie Next choice from Indiebound.org. It's June, 1956, and school's just about out for the summer. Teenage Nora and her friends have a party with a few boys, dance, hang out and drink too many beers. But none of them can imagine that their lives are about to change forever. The next day, the bodies of two of the girls, Cheryl and Bobbi Jo, are found shot to death in the woods near their house. Everyone thinks that Buddy, Cheryl's ex-boyfriend, who's looks like an imitation of James Dean, must be guilty. But when no evidence is uncovered, he's released, although everyone in the town still assumes he did it. Nora is the only one who seems to think someone else is guilty--and the murderer is still out there. Who's to blame for this brutal crime...and will he wind up going unpunished? This excellent mystery, written from varying points of view, including Nora, her friend Ellie, Buddy, and the actual guilty murderer, takes place in a time that seems so innocent now--a time of listening to Elvis records, worrying what would happen if a boy touched your knee, having ice cream sodas at the neighborhood drugstore. But we see how one event makes everything change for all the teens in the story. What would it be like to have your friends murdered, begin to question your Catholic faith, and not know how to go on living? And what if everyone in town thought you were a murderer? 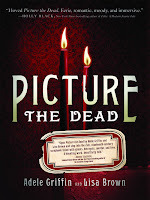 This is different from other Mary Downing Hahn books I've read--not a ghost story, but a story nonetheless of how the dead can haunt us in other ways. Highly recommended. Note: the novel is inspired by a real crime which took place when the author was a teen, and has haunted her for years. Second Fiddle was recently picked as a Spring 2011 Kids Indie Next list, from the independent booksellers association.